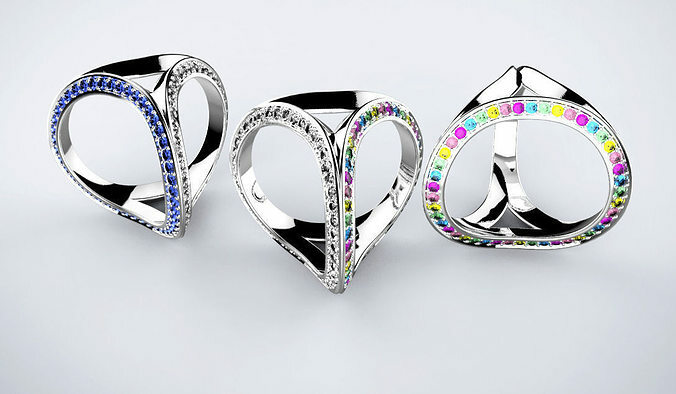 Three rings in one. Size : 17,5mm Gems 1.5mm : 45 - white, 45 - blue, 9 - light blue, 9 - green, 9 - yellow, 9 - pink, 9 - purple. Model is ready for prototyping on CNC and 3D Printing.